IRS Commissioner John Koskinentestified before the House Oversight and Government Reform on March 26, 2014. Koskinen told Rep. Jason Chaffetz (R-UT) during the hearing that Loise Lerner’s emails were archived and it would take a long time to retrieve them. In June the IRS told Congress Lois Lerner’s emails were lost in a computer crash. 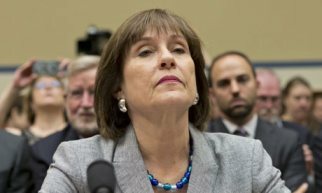 There were audible gasps in the room on June 20,2014, when IRS Commissioner John Koskinen told Congress that Lerner’s hard drive was tossed out. Koskinen testified before the House Ways and Means Committee on the IRS conservative targeting scandal. But Lois Lerner’s emails were not lost as was reported. All of her emails were backed up by the federal government. And 30,000 of her emails have been recovered. Federal investigators have told Congress that they have recovered data that may include lost emails from one of the pivotal figures in the controversy over the Internal Revenue Service’s treatment of tea party groups, congressional aides said Friday. Frederick Hill, a spokesman for Republicans who run the House Oversight and Government Reform Committee, said the investigators said at a staff briefing Friday that they have recovered up to 30,000 emails to and from Lois Lerner. A statement from Democrats and Republicans on the Senate Finance Committee was more measured. It said the investigators have recovered data that may include Lerner emails. The investigators were from the Treasury Inspector General for Tax Administration, which audits the IRS. A spokeswoman for the inspector general, Karen Kraushaar, declined to comment, saying the investigation was continuing. The investigators ignited a political firestorm in May 2013 with a report saying that IRS agents had given exceptionally close scrutiny to tea party and other conservative groups that applied for tax-exempt status.